If you are considering a career in project management, listen up. There are a lot of different skills needed to be successful, ranging from people management to organization and planning. There is one skill though, that you need above all the rest. The hands down best skill to have as a project manager is the ability to communicate. Project managers can spend up to 90% of their time communicating. 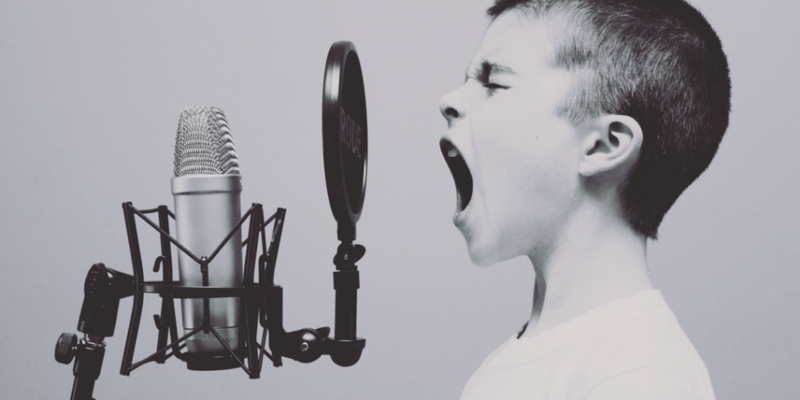 Webster defines communication as “a process by which information is exchanged between individuals through a common system of symbols, signs, or behavior”. 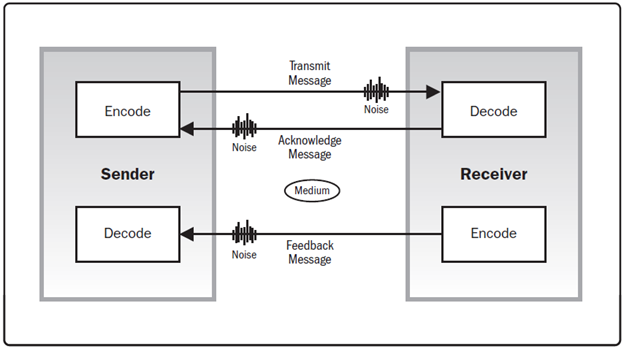 The communication process requires both a sender and receiver. The sender transmits the message to the receiver. The receiver then decodes and acknowledges the message. The below image from PMI’s PMBOK is a good outline of the communication process. Most project managers focus on the sending part of communication, overlooking receiving. This is understandable because project managers must send messages often. The receiving part of communication though, is as crucial. Let’s look at the different aspects of communication for project managers. I have broken them down into speaking and writing (sending), and listening (receiving). You don’t have to be an amazing orator to speak as a project manager. You also don’t have to be an extrovert who enjoys being the life of the party. I’m an introvert who’s not always comfortable speaking in groups. This is an area which I’m sure I could improve, but my discomfort in speaking is not always a liability. When I’m not speaking, I’m listening, or at least trying to. I could write a full post about each one of the speaking topics, because they are all important. I enjoy one on one communication the most. Effective one on one communication requires emotional and social intelligence. If you have trouble speaking, I recommend taking a Dale Carnegie course on speaking. Warren Buffet credits a Dale Carnegie course to helping him overcome his fear of speaking. Good clear writing is crucial in project management. One could make the argument that writing is the most important skill of all. The project manager must write by sending emails, status updates, meeting minutes, action items, project plans, etc. The challenge for the project manager is to communicate clear through their writing. This is no easy task giving the complexities of projects, and the amount of ambiguity that exists in corporate communication. Most companies have their own unique language. The language consists of acronyms and jargon, which makes clear writing more difficult. Project managers can fall into the trap of using ambiguous corporate jargon in their writing. Part of this is because of fear and corporate politics. What if I write the wrong thing, sound stupid, or make an enemy? A good project manager will put those fears aside and take the time to write good clear English. You can write clear while also being smart about corporate politics. As a program manager, part of the reason I blog and write LinkedIn posts often, aside from the fact that I enjoy it, is to work on improving my writing. I know I am not a great writer, so I must continue to work at it. Writing, like any other skill, requires continual practice. Remember, it’s easy to write something confusing, but it takes time to write something clear. For a great resource on writing, I recommend William Zinsser’s classic book, “On Writing Well“. Communication in project management is not only about talking or writing, it’s also about listening. I can’t emphasize enough the importance of listening. To better understand the importance of listening, I’ll paint a picture. Imagine a sea-captain leading a heroic voyage across the Atlantic in the late 1700s (I’m on a revolutionary war kick now, stick with me). For the voyage to be successful, the captain doesn’t tell the crew what to do, all the time. Instead, the captain spends a good part of his time listening to the crew. The captain receives all the messages on problems, concerns, and suggestions from the crew. After receiving the messages, the captain can then take the appropriate actions. The project manager is like that of a sea-captain. He or she needs to listen to the team members and stakeholders. If the project manager is not listening, the project will most likely go off course. For a good resource on listening, I recommend Stephen Covey’s book, “The 7 Habits of Highly Effective People“. In this great book, the 5th habit is “Seek First to Understand, Then to Be Understood”. Covey explains how to use empathy, a part of emotional intelligence, to achieve the highest form of listening. Emphatic listening goes beyond active listening, to understand how someone feels. I’ve only begun to scratch the surface on the importance of communication in project management. I haven’t touched on communication channels or nonverbal body language, which are also important. If you are new or considering a career in project management, I hope this post has been helpful. The good news is that we can all continue to improve our communication skills.